Bomb planted on Metrojet Flight 9268 by airport worker? Egypt’s Sharm el-Sheikh Airport on Nov. 5, 2015. New evidence in the investigation of the Russian airliner that crashed in Egypt indicates an inside man may have helped to plant an explosive device on board, aviation security officials told ABC News. 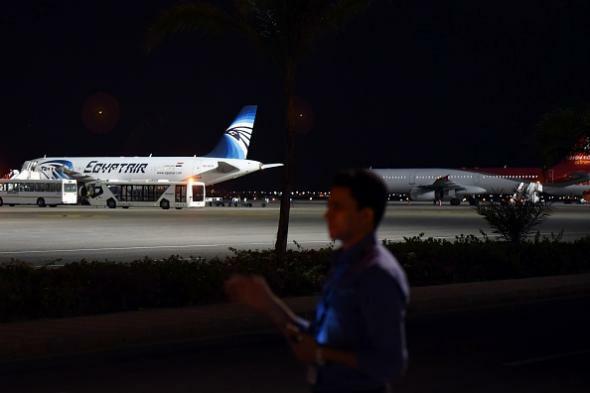 Investigators today will be scrutinizing surveillance tape and employee records at Egypt’s Sharm el Sheikh airport, from which the Russian jet took off, looking for a ramp worker who authorities say may have been recruited by ISIS to plant a bomb on the plane. ABC goes on to “electronic intercepts of ISIS, both before and after the crash, indicated that ISIS was in communication with someone at the airport.” CNN, meanwhile, reports that Israeli intelligence officials who monitor the Sinai peninsula—where the plane crashed—have passed intercepted ISIS-related messages to the U.S. and U.K.